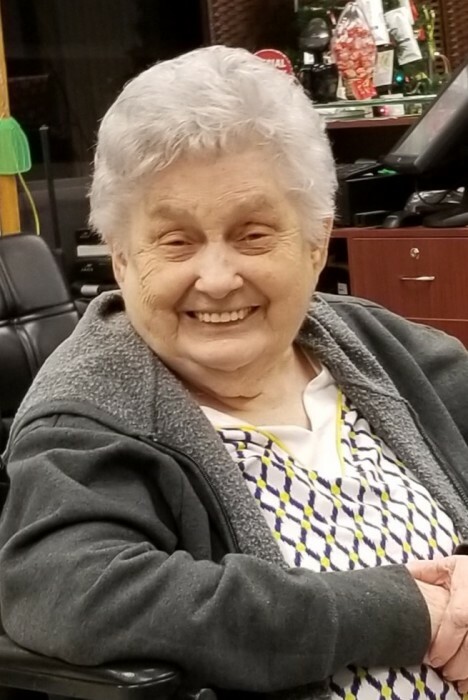 Bertha A Lawson, 87 of West Portsmouth, died Saturday January 19, 2019 at Four Winds Nursing Facility in Jackson. She was born September 10, 1931 in Lucasville to the late Hobert and Myrtle Snyder Johnson. Bertha was a retired braider operator at Mitchellace Shoe Manufacturing. She was also a member of the South Point Church of God. Along with her parents Bertha was preceded in death by her husband Fred Lawson, a son, Dennis Fred Lawson, a grandson, Michael Andrew Nickel and a granddaughter Elicia Lynn Heatherly. Bertha is survived by 3 daughters; Linda Call of Wheelersburg, Edie (Tom) Nickel of Knoxville, TN and Janet (David) Hall of South Point, 4 grandchildren; Dennis Ronald Lawson and Jeremy Call both of Wheelersburg, Joshua Darby of South Point and Amy Treece of Knoxville, 2 great grandchildren; Violet Mae Treece and Michael Franklin Treece along with 2 sisters; Helen Entler and Mary Brandenburg. Funeral services will be 1:00 PM Tuesday January 22, 2019 at the Roger W. Davis Funeral Home in West Portsmouth with Paul McNurlin officiating and interment in Wymer Cemetery. Friends may call at the funeral home on Tuesday starting at 11:00 AM. Condolences may be sent to www.rogerwdavisfuneralhome.com.